On Monday, Nov 5, the Social Sciences Faculty of the Angelicum hosted a lecture on Christians in the Middle East, as a kickoff event for their new Al Liqa’ Project. History Prof. Habib Charles Malik of the Lebanese American university offered his reflections and recommendations on the Christians of the Middle East focused on the events between the Arab Spring, and the release of the Apostolic Exhortation, Ecclesia in Medio Oriente, which was delivered during Pope Benedict’s Apostolic visit to Lebanon in September. Prof. Malik began with the state of the question. There are about 12 million Christians in the middle East he estimates, not counting Latin immigrants, which include about 8 million Copts in Egypt, another 3 million in the Levant – Melkites, Maronite, Syriac, Greeks, Armenians, Latins and Protestants – and the Assyrians and Chaldeans in Iraq, a population that has been decimated since the U.S.-lead invasion of 2003. There remain less than a million. Emigration out of the region has been going on since the advent of the 21st century, due laregely to attacks on the communities. During the raging civil war in Syria, he describes both sides – the Alawite Shi’a administration and the Salfist Sunni insurgents (and others) – as targeting Christians and attempting to pin the attacks on the opposing forces. They have become the primary targets of opportunity. Malik was critical of the Arab Spring as a misnomer – the so-called Facebook generation of young democracy-minded types had not held together beyond the revolutions, and instead we have what he suggested to be called a ‘Salafi Spring.’ Tunisia is one of the few places he sees a genuine road to democracy, though throughout the region, the moderate Sunni voices are too often weak and unheard – and often in just as much danger as the Christians of the region, if they speak up against extremism. Sunni vs. Shiite: With a rough north-south border running through Iran, Iraq, Syria and Lebanon, the most explosive region of volatility around this divide is in Syria, with a small Alawite (Shi’a) administration and a larger Salafi (Sunni) insurgency. Arab vs. Persian: Centered around Saudi Arabia and Qatar on one side and Iran on the other, with corollary polarities between Turkish and Israeli interests. Salafi and Jihadist vs. Despotic Regimes – The false sense of security under a ruthless dictator should not be preferred over the uncertain volatility of the powers emerging from the revolutions. Sino-Russian vs. Euro-American interests in the region, often complicated by western neglect or ignorance of culture, religion, and society in the area couple with agendas more concerned with petroleum and other natural resources than with human rights and religious freedom. Given this, many of the region’s Christians have trepidations about the Arab Spring, fearing that it will bring not a transition to greater democracy, but simply create an extended power vacuum that could be manipulated by militant extremists. But not all of Prof. Malik’s talk painted such a gloomy picture. There was an enthusiastic and grateful welcome of the Post-Synodal Apostolic Exhortation, which Pope Benedict delivered in Beirut six weeks ago. There is, as always, a desire to be better understood by the west in general, the Latin Church, and by the Holy See. Many see Pope Benedict has grasping many of the complexities and delicacies of Christianity in its birthplace, and see in the exhortation recognition of the historic, current and eschatological dimension of the predicament of indigenous Christians, while outlining their unique responsibilities as Christians in the midst of the world of Islam. The frequent use of Lebanon as a role model, he says, seems to be putting the cart before the horse. The potential is there, certainly, but there is still a long way to go. Finally, the pleas for a healthy secularity may resonate with a Eurocentric West, but make no sense in Islam where there is no differentiation between the realms of sacred and secular authority. This kind of language might just push Christians out of the area to seek the kind of healthy secularity to be found in the U.S. and elsewhere. The Church and the world press need to continue to put pressure by shining light on even the smallest abuses. Even dictators don’t like bad press. The international community must insist that new states’ constitutions include religious liberty and hold them accountable. The litmus test of the Arab Spring is and will be the treatment of religious minorities. Need to consider a ‘federalism’ option. Inspiration from the Year of Faith and the carefully selected opening mass reading of Mark 8-27-35, with its focus on ecumenism as a witness of unity in the face of interreligious dialogue and as a prerequisite for survival and evangelization. Friends, my lectio coram – my comprehensive exams – have been scheduled for this Friday at 16.50 Rome time. The thesis was submitted two weeks ago and is being evaluated, though as soon as i got the printed version back i even noticed a spelling error on the front page. The first word, no less. Still, after this weekend, i hope to have my License in hand and be on the final stage of the doctorate: all research and writing, all the time. The thesis title was “The Diaconate in Ecumenical Context” and my major presentation for the lectio coram is on “Ecumenical Development on the theme of Apostolicity” followed by questions covering the whole range of my studies here. Prayers are appreciated! Then, i hope, i will be back to my normal volume of posts: this is going to be an exciting year! In the midst of last week’s events surrounding the Fifth Annual John Paul II Lecture on Interreligious Understanding, delivered at the Angelicum by Cardinal Kurt Koch, i was asked to stay on another year as the graduate assistant at the John Paul II Center for Interreligious Dialogue at the Angelicum. So, another year in Rome, at least! While my academic focus has remained ecumenical, the interreligious piece, especially with the Abrahamic faiths, has grown ever entwined in every aspect of my life. It is hard to believe how much time has passed in Rome already, but there is always more to see and do. Please check out the website, and also the Center’s Facebook page. The lecture was the highlight of a busy week for the Center, with a series of meetings and receptions around the Russell Berrie Fellowship and the relationship of the Angelicum University and the Russell Berrie Foundation, which is made manifest in the John Paul II Center. About 150 people attended, including the president emeritus of Ireland, Mary MacAleese, ambassadors to the Holy See from several countries, the U.S. Special Envoy for combating anti-Semitism, the new rector of the Angelicum Fr. Miroslav Adam, and Cardinal Walter Kasper. With regard to the reception history of Vatican II, he says that “one can without doubt dare to assert that Nostra Aetate is to be reckoned among those Council texts which have in a convincing manner been able to effect a fundamental reorientation of the Catholic Church following the Council”. This statement, incidentally, points to a hermeneutic that clearly holds that the purpose of the Council was a reorientation of the Catholic Church. He concludes by engaging open theological questions and prospects. The question of the role of Christ in the salvation of the Jews, given the enduring covenant of God: What is the mission to the Jews, if there is one? How do we reconcile these two truths without offering a parallel path of extra-Christological salvation? Cardinal Koch sees anti-semitism, anti-Judaism, and Marcionism as still-present challenges which the Catholic Church must and does denounce as a betrayal of Christian faith. An expression of this question is found in the recently revised Good Friday prayers for use in the ‘extraordinary form’ of the Latin liturgy, which itself raises questions about “lex orandi, lex credendi”, when we have seen four versions in forty years. 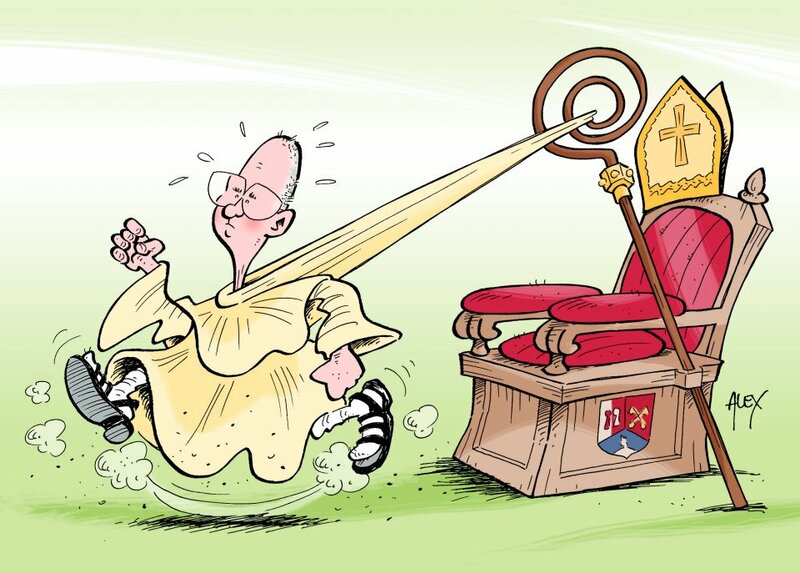 Liturgically, he also critiqued both preachers who omit the old testament readings from their reflections, and presiders who “change the mass” omit the original Hebrew meanings of the prayers. The first priest I knew to be made a bishop was my look-alike Daniel Jenky, CSC from Notre Dame (now Bishop Daniel of Peoria). My first professor to become a bishop was Bishop Donald Bolen of Saskatoon. But this is the first time a Facebook friend has been named a bishop. Fr. Charles Morerod was instructor of a course I took in my first year on the “Philosophical Elements in the Catholic-Protestant Dialogue”, and has been Rector Magnificus of the Angelicum University for a little over two years. He has doctorates in both philosophy and theology, and serves as the secretary general of the International Theological Commission, as well as teaching at three universities. News of his appointment leaked via Swiss news radio on 2 November, though the official VIS announcement was made the following day on 3 November. Though it has since been retracted, it is interesting to note that on the same day, the Society of St. Pius X seemed to indicate its rejection of the doctrinal preamble offered by the Congregation for the Doctrine of the Faith as a requisite for the restoration of full communion of the schismatic sect with the Catholic Church. Interesting to note, I say, because Bishop-elect Charles was one of three theologians appointed by the CDF two years ago to engage the SSPX in dialogue in an effort to close the only formal schism that resulted from Vatican II, along with Archbishop Luis Ladaria, Secretary of the CDF and Msgr. Fernando Ocariz, vicar general of Opus Dei. Moreover, his new diocese is the home of the SPPX seminary and the place of its short-lived status as a legitimate Catholic organization (SSPX was a diocesan ‘pius union’, what would now be called an ‘association of the faithful’, from 1970-1975). … Cosa rispondere, lo prendo come ho sempre preso la mia vocazione: umanamente ho paura, ma mi fido della volontà divina che non delude. E vedo bene qualche urgenza pastorale in Svizzera: da questo punto di vista sono felice di poter aiutare un po’. Sono davvero triste di dover rinunciare al nostro lavoro comune… Cercherò di trovare qualche modo d’aiutare l’Angelicum a distanza. Preghiamo gli uni per gli altri. 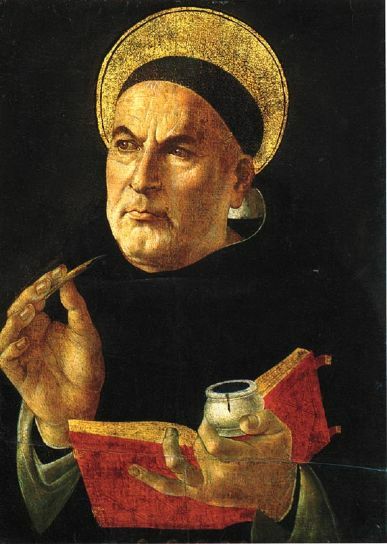 I am really sad to have to give up our joint work … I will try to find some way of helping the Angelicum from a distance. Let us pray for one another. Fr. Charles has been a guest at the Lay Centre each year, and one of the main supporters of the the new John Paul II Center for Interreligious Dialogue at the Angelicum in the past year, and of the Russell Berrie Fellowship. He will certainly be missed! 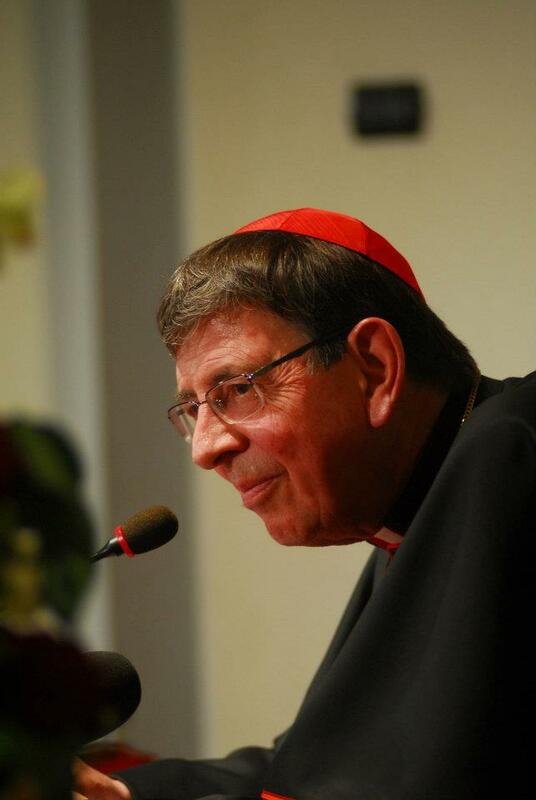 The Angelicum community bids Bishop-elect Charles a fond farewell on Friday, 11 November, with a reception at 12:15. The Rev.do P. Charles Morerod, OP, was born in Riaz (diocese of Lausanne, Genève et Fribourg) October 28, 1961. He studied philosophy and theology at the Faculty of Theology, University of Fribourg, concluding with a degree in Theology. In 1983 he entered the novitiate of the Order of Friars Preachers Swiss province and has made his vows in 1987. He was ordained April 30, 1988 in Geneva. From 1987 to 1989 he served in pastoral ministry, first as a deacon and then as viassociate pastor of the parish of St. Paul in Geneva. From 1989 to 1992 he was Assistant at the Faculty of Theology, University of Fribourg from 1991 to 1994 and chaplain of the University of Fribourg. In 1993 he received his doctorate in theology and a licentiate in philosophy in 1996. From 1994 to 1999 he was adjunct professor of Fundamental Theology at the University of Fribourg and since 1996 professor at the Pontifical University of St.Thomas Aquinas. Since 1997 he is editor of the edition in French of Nova et Vetera Magazine. In 1999 he became full-time professor at the Pontifical University of St. Thomas Aquinas. From 1999 to 2002 he also taught at the Faculty of Theology of Lugano. He was Vice-Dean of the Faculty of Theology from 2003 to 2009 and Dean of the Faculty of Philosophy at the Pontifical University of St. Thomas Aquinas. In 2004 he obtained his doctorate in philosophy at the Catholic Institute of Toulouse. Since 2008 he is also Director of the Roman Catholic Studies Program at the University of St. Thomas (St. Paul, Minn.). In April 2009 he was appointed Secretary General of the International Theological Commission and Consultant of the Congregation for the Doctrine of the Faith and in September 2009, also Rector of the Pontifical University of St. Thomas Aquinas. Time Flies. Two years on the Russell Berrie Fellowship in Interreligious Studies have come and gone. For those who know me well, it is unsurprising that my two major goals here – learn Italian and write my thesis – are still works in progress, despite a number of other accomplishments. I am returning for a third year to the Lay Centre at Foyer Unitas, Rome’s pre-eminent collegio for the tired, the poor, the huddled masses yearning to breathe free lay students. Which is, basically, anyone who cannot play on a pontifical university football (soccer) team for the annual Clericus Cup – but I digress. Only two of us, aside from director Donna Orsuto and assistant Robert White, are back for a third consecutive year: the other being my newly-wed friend and next-door neighbor from Morelia, Mexico, David. Others who were here last year, or at least part of the year, include Muhamed (Bosnia), Marija (Croatia), and Julia (Hong Kong). Belarus, Bosnia, Canada, Croatia, Czech Republic, Egypt, Georgia, Germany, Hong Kong, Indonesia, Israel, Mexico, the Netherlands, Romania, Serbia, and the U.S.A. 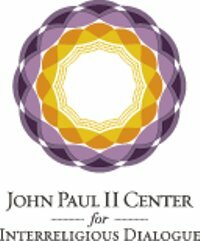 This year I also start a new role continuing the relationship with the Russell Berrie Foundation, through the Institute for International Education, in the form of a graduate assistantship at the new John Paul II Center for Interreligious Dialogue, housed at the Angelicum. The first month back in Italy consisted of jet lag, a severe cold, orientation week for new Lay Centre residents, and then orientation week for new Russell Berrie Fellows. The tesina awaits. There are a few highlights I will be, ah, highlighting shortly.